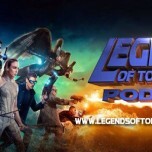 On this week’s episode of the Legends of Tomorrow Podcast, Kat, Amy, Morgan and Lauren get together to review the tenth episode of DC’s Legends of Tomorrow titled “Progeny”. In addition, they read listener feedback and e-mails about “Progeny”. 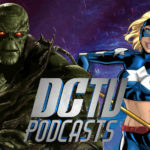 That and more on this week’s episode of the Legends of Tomorrow Podcast! 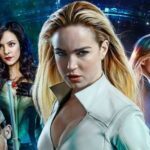 Also, make sure to check out our WonderCon roundtable videos with the cast and crew of Legends of Tomorrow! Official CW Description For Episode 10: “Progeny – RIP CROSSES THE LINE IN HIS EFFORT TO SAVE HIS FAMILY – Rip (Arthur Darvill) tells the team they are headed to the future to take out a powerful ally that Savage (guest star Casper Crump) needs in order to conquer the world. However, when Rip reveals the ally is a 14 year-old boy (guest star Cory Gruter-Andrew) who will one day grow into an evil dictator, the team is split about the morality of killing a child, even if it does save the world. 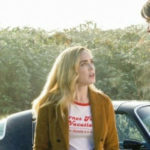 Meanwhile, Sara (Caity Lotz) talks Snart (Wentworth Miller) through a rough patch and Ray (Brandon Routh) learns something that could impact his future with Kendra (Ciara Renée). David Geddes directed the episode written by Phil Klemmer and Marc Guggenheim (#110). Original airdate 4/7/2016.